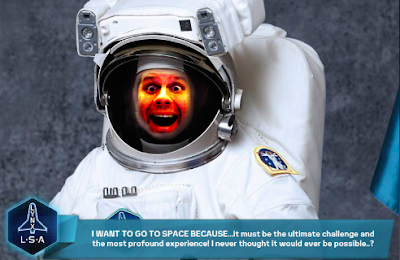 Send a colleague into space? "But all this science - I don't understand, Its just my job five days a week..."
Dr. Pat Collins, Mecmesin's Technical services manager, has entered a competition to win a place on the space tourism company's SPACEXC flight into space. Taking off from an extended runway like a conventional aircraft, the lucky winner will be breaking the sound barrier in 60 seconds. The special craft climbs rapidly to a altitude of 103 km, and by following a parabolic flight-path will experience a short period of weightlessness. During the return to earth, there will be a rapid acceleration resulting in 10-20 second spent at high "g" force. Well, Pat knows all about force, but "Feeling the Force will be an entirely new experience. I think this would beat Pat's normal daily commute to the Mecmesin group headquarters in Slinfold West Sussex where only the cost of petrol is stratospheric. Of course if Pat were to win the competition he would still have to pass the physical. "And I think its gonna be a long, long time..."
Can't put this book down? Gripping stuff? Uncertain about how it all stacks up? 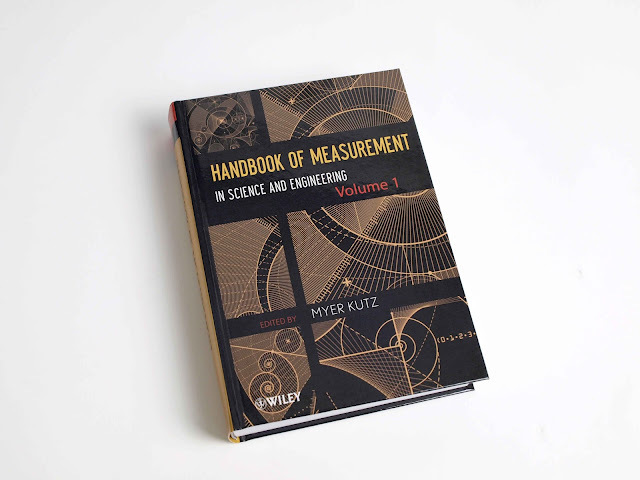 Then turn to chapter 10 where Mecmesin's own Dr. Pat explains everything you need to know about the measurement of force. Wow! - I'm Hooked. Is there anything more frustrating than not being to open your beer bottle? Here's a nightmare scenario for you. 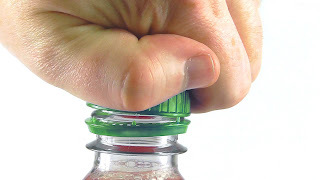 You twist the top-cap on your bottle of beer, but it just will not open. - Each time you turn the screw cap the plastic tamper-evident ring refuses to break and you have what's known in the trade as a "spinner". Bad enough if you have the one bottle to contend with, but what if you are the quality manager in a bottling plant filling hundreds of bottles each hour? You need a way of checking that the caps are put on just right - not too loose, and not too tight. What you need is a Vortex torque testing system. By testing bottles from the production line at regular intervals you can be sure that the capping machine is doing its job. As a secondary thought, how can you be sure that the PET bottle is strong enough to withstand the rigours of capping, handling and being stacked as it makes its way from the bottling plant to the shop and finally to the consumer arriving intact? 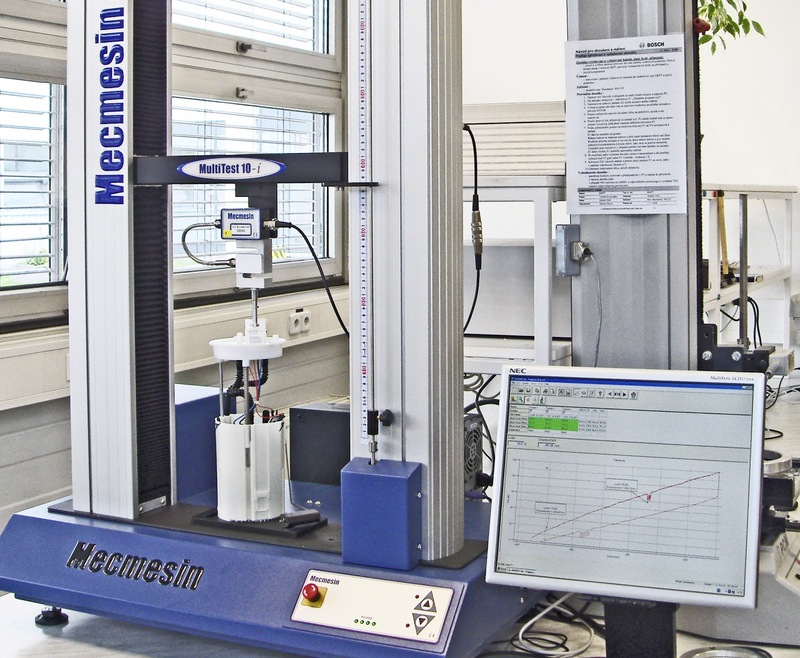 This time you need a MultiTest force testing system to apply a standard top-load to the empty bottle and accurately measure how much it compresses. Then you will know if the bottles have been formed with exactly the right amount of polymer. So you save money on materials and don't get the headache of underperforming bottles. Follow this link to see the case study. A new case-study on testing compression springs used in automotive fuel pumps has been added. Follow the link to see how the company benefited from being able to program tests sequences and get an immediate "Pass" or "Fail" status.